A North Carolina man was told he could face the death penalty on Tuesday for the murder of his wife after he told a 911 dispatcher he may have killed her after drinking too much cold medicine. “I had a dream and then I turn on the lights and she’s dead on the floor,” suspect Matthew Phelps, 28, said during a nearly seven-minute 911 call early Friday morning. “I have blood all over me and there's a bloody knife on the bed. And I think I did it,” he said in the call, which was released by the Raleigh Police Department. Phelps went on to tell the dispatcher between sobs that his wife, Lauren Ashley-Nicole Phelps, 29, was not breathing. He then said that he had taken too much Coricidin, a cold medication targeted at people with high blood pressure. “There’s so much blood,” he said, his voice breaking. 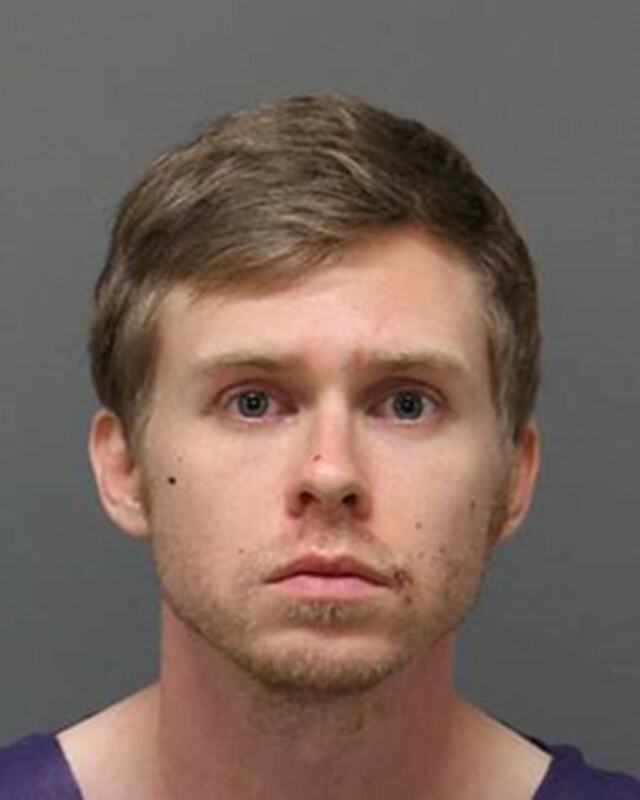 Raleigh police said in a statement that officers were dispatched to the home around 1:15 a.m. on Friday in response to a report of a stabbing and Phelps was taken into custody without incident. Phelps had his first court appearance on Tuesday in Wake County court, where a judge ordered him held without bond. Phelps did not enter a plea. The judge also said Phelps could face the death penalty. "You can receive death or life in prison without the possibility of parole," Wake County District Court Judge Keith Gregory said. Phelps’ next court appearance was set for Sept. 25. Phelps' attorney, Joe Cheshire, offered his condolences to the victim's family outside court on Tuesday afternoon, and asked the public to "withhold judgment in this particular case until we know more." "There's a lot to this story that I believe will be told in the future," he said. Bayer, the pharmaceuticals giant that makes Coricidin, said in a statement that the company "extends our deepest sympathies to this family." "Patient safety is our top priority, and we continually monitor adverse events regarding all of our products," Bayer said. "There is no evidence to suggest that Coricidin is associated with violent behavior." But some of the known side effects of Coricidin range from racing heart and drowsiness to a drunken feeling and hallucinations. It’s not the first time a cold medicine has been alleged to have led to a killing. In July of last year, Seattle doctor Louis Chen was sentenced to 49 years in prison for the murder of his partner and their toddler son, according to the Associated Press. Chen’s defense had argued that his ability to know right from wrong was diminished by mental illness and a cough-syrup-induced psychosis, according to the AP.